Freediving can be an amazing and life-changing sport, although along with many other sports, freediving should be taught under a professional certified instructor. Freediving in itself is a safe sport when practiced correctly and with a trained buddy, and certification courses are the key to learning correct technique, proper safety, rescue techniques, and quality information. Unfortunately, these courses can often be quite costly. These prices include proper equipment, reliable teaching methods, valuable information, and dependable safety from a certified instructor, which is vital when participating in extreme sports. Many certified freediving instructors and freediving centers offering these certified courses are located in developing countries, yet still charge Western prices, which means that these courses are often not affordable options for locals. It is usually cheaper to learn from YouTube videos, non-certified instructors, or other newbie freedivers, but freediving comes with risks if not learned and practiced properly. So what can we do to make learning the proper way to freedive more accessible to everyone, not just for those who can afford it? A great option for independent freediving instructors and freediving centers to make themselves more available to locals wanting to learn to freedive is to offer special rates. A set percentage discount (such as 20% to 30%, or even more) can bring in a clientele that might have never considered taking a course due to the price. This discount can apply to locals, seniors, students, etc., and can make certified freediving courses much more accessible to an untouched consumer market.  Even an introductory course that has no certification value can be marketed towards people who just want to try freediving but are not ready to make a leap into the requirements that most certification courses require. Similar to university students who have an unpaid job in their field of study, a freediving internship could come in the form of work in exchange for courses. This can be for any level of certification and is especially useful for future freediving instructors who would like to have some work experience along with their course. The work does not necessarily have to be in the water, it could be in reception, cleaning, painting a mural, social media manager, photographer, web site design, or even little jobs like organizing the equipment or creating more tasteful displays. There are plenty of opportunities to get creative and make an extra person in a freediving center useful, while also creating a golden opportunity for a freediver who may not be able to invest in a course. If everyone at a freediving center is willing to contribute some money, or even through outside donations, a fund can be set up in order to sponsor a future freediver who is not able to afford a course. This can be used for any level of certification, or even for an introductory course. If there are generous sponsors and a freediving instructor willing to offer their services for a reduced rate, there could be occasional or regular introductory courses. These courses do not have to have a certification level attached; they are created solely to introduce someone to freediving in a safe and reliable manner, and can also spark an interest in the local community regarding freediving, which helps the local freediving community grow and flourish. Local certified freediving instructors teaching and working in their own country are more understanding of the affordability dilemma that other locals may face, and also have the ability to teach locals in their native language. 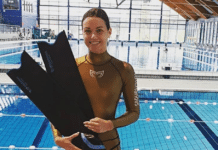 They may offer introductory courses at a reduced rate that can inspire more future freedivers, thereby jumpstarting and contributing to the growth of freediving as a sport in that particular country. They can also organize safe training sessions and become mentors for newer freedivers. This can encourage more participation and organization of competitions, national records, and possible tourism, while also encouraging non-swimmers to learn how to swim, teaching safer ways of spearfishing, and creating more awareness of the state of our oceans and marine conservation. Freediving should not be an elite sport that is only available to those who can afford it. 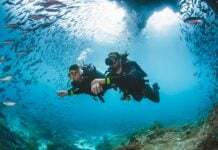 It is difficult to resist the urge to train when you have a pool or open water available to you, and it can be easy to just grab a mask, snorkel, pair of fins, and a buddy to train or do some fun dives. But with freediving comes responsibility: the deeper you go, the longer you hold your breath, and the farther you go in the pool, all of these elements come with their own risks. 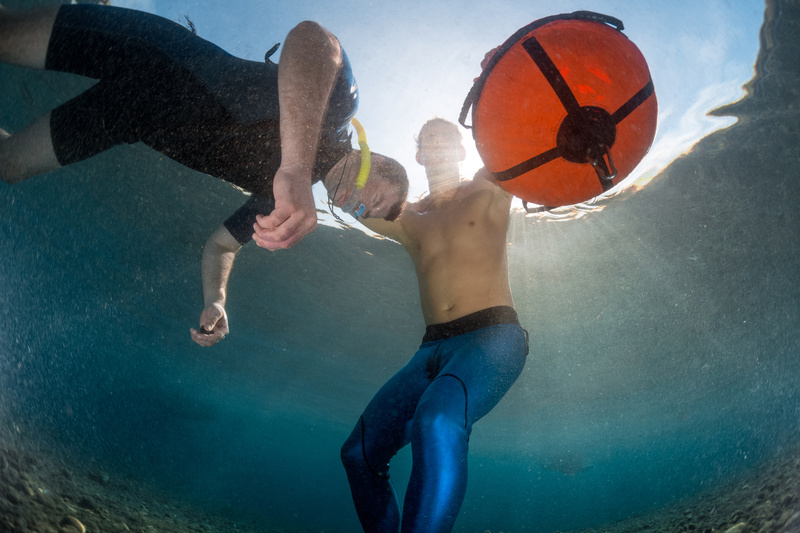 Technique, knowledge, and proper safety are crucial to keep freediving a safe sport, and that is why it is essential to learn freediving in an appropriate manner. 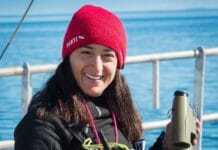 This is why it is vital for freediving instructors and freediving centers to try to make freediving accessible to everyone, not just to passing tourists who can afford the courses.